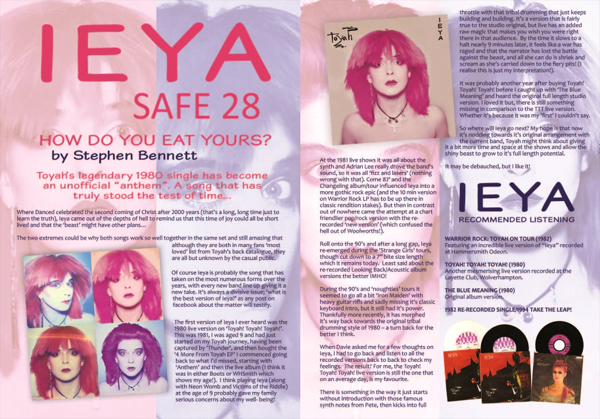 Ieya was re-recorded and re-released as a single in 1982. The song is almost always played during a Toyah gig, often during the encore. Ieya was written by Willcox/Bogen/Bush. Browse the full history of the song at Wikipedia. Somewhere In The Distance: Classic Toyah Interviews Kaleidoscope Man – Coming Soon!